Once again, I will be grilling up organic hotdogs from Applegate Farms (and a few organic vegan dogs for those of you who must go without meat). But this year I am adding a new treat: Organic Apple Cider Floats! Made with apple cider from the Rodale Institute orchards, and organic vanilla ice cream from Alden’s. I will be serving them until I run out! This year, no matter what the weather, I am sure the Apple Fest is going to be even better. My favorite bird carver, Tom Ahern, will be selling his gorgeous birds. My dear friend Ida Berkholder, who makes my organic cotton aprons (of which I will be selling a limited number, since, after all, she is pregnant with her fourth child and grows and preserves all the food for her whole family all winter long), will also be selling her own sewing. And of course there will be all the organic apples you can pick, the infamous rotten apple rocket, and much, much more. 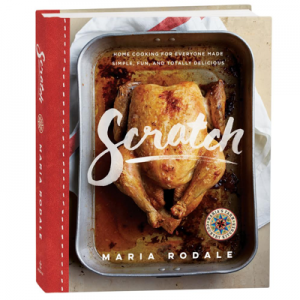 All the proceeds will benefit the Rodale Institute, a world leader and pioneer in organic farming research and education for more than 60 years. If you can’t make it, please check out the institute’s website and become a member. 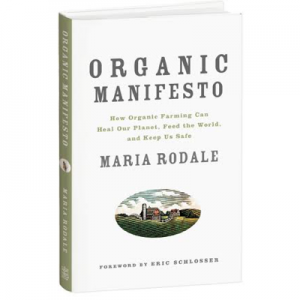 It’s truly a wonderful organization, and it needs your help to continue its mission to improve the health and well-being of people and the planet through organic leadership. 2. Fill it almost to the top with organic apple cider. 3. Add a scoop of vanilla ice cream. 5. Add a straw, and drink it up! Has it been a year already since the last festival? Jeez, it seems like yesterday. I’ll do my best to make it this year since I HAD to miss last year. There’s lots going on in the surrounding area on the 11th, it’s so difficult to choose. Sounds yummy! Liquid apple pie a la mode! Will try. Thanks. I so wish I could get the family north for the festival, but I have morning responsibilities at our own neighborhood organic farmer market on the 11th! Will have to plan better since you’re a bit of drive north of the DC area. Hope you have great weather for the event. Thoroughly enjoyed watching the video. It looks like good, old-fashioned fun. Enjoy! Day after day I complain to my huabsnd about the belly left after 5 pregnancies and a back injury. He continues to tell me how beautiful I am, to love myself as I am, that it’s okay if I want to make changes, but to do it for myself in a positive way. Not until I listened from start to finish to your message did I ever think of it as a Negative Body Obsession. Never did I think about it as a detriment to me and what I accomplish day after day, how much some of the enjoyment of life goes away for me and my huabsnd because of this obsession with my body. Thank you for all you shared. The problem has not magically disappeared, but now I am at that next level of being consciously aware of what tearing myself down each day is doing and must move forward to a more positive relationship with myself and my body. Thank you.